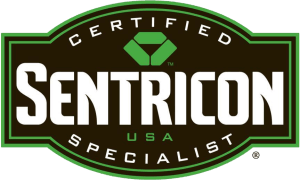 When compared to some forms of wildlife, such as squirrels, birds and even opossums, raccoons are elusive creatures, as they are largely nocturnal and are cautious scavengers. This is one reason as to why the vast majority of wildlife experts claim that raccoons don’t pose a significant danger to humans. Although raccoons are, admittedly, fast-moving and fierce looking creatures that possess sharp teeth and claws, a raccoon has no reason to risk its life in a hasty attack on a human. However, as it happens, raccoons may not view human babies the same way, as one tragic news article from nearly a decade ago makes clear. During the fall of 2010 in Atlanta, Georgia, a baby was brought to a hospital where she was determined to be in critical condition due to injuries sustained in an attack by two raccoons. Police officers wasted no time investigating the matter, as they were curious as to how the two raccoons were able to access to the nine month old baby while she was in her crib next to her sleeping mother. At around 4:00 AM one morning, police officers received a call from a distressed mother, Melissa Cannon, who claimed that her daughter had just been attacked by two raccoons. Once the officers and paramedics arrived to the home, the baby was found with numerous lacerations on her face and other parts of her body. The clearly aggressive raccoons had reportedly attempted to literally eat the baby girl alive within her crib. However, before authorities made it into the house, one of the raccoon perpetrators aggressively approached one of the police officers before the officer shot and killed the animal in self defense. 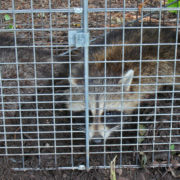 The other raccoon was detained by animal control agents and tested for rabies. Four other children in the home were not injured. Despite the neighbor’s insistence that the mother would never put her baby at risk, police suspected that the mother kept the raccoons as pets illegally, and therefore, criminally endangered her daughter. 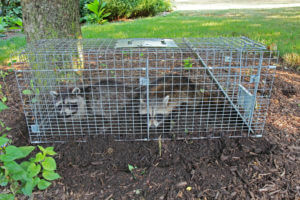 Do you find it unlikely that the raccoons gained entrance to the home and then into the baby’s crib from the outside? Or did she likely keep the animals in her home illegally?